1. To tell our story. 2. To validate the truth of family secrets. 3. To understand and accept what has happened. 4. To forgive, which does not mean that you condone the action; it is the beginning of the healing process. 5. To reach out with love and support to other victims of childhood sexual abuse and domestic violence. 6. To be there for one another. 7. To share wisdom we have learned through REPAIR and any other resources. 8. To appreciate and savor the joys of life on a daily basis. 9. 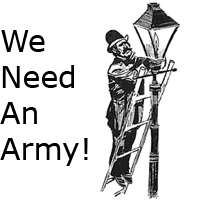 To be a Lamplighter, an inspiration and a guiding light for all who were abused, for the rest of our lives. 10. To strive to be all that we ever hoped to be, regardless of what happened when we were children.